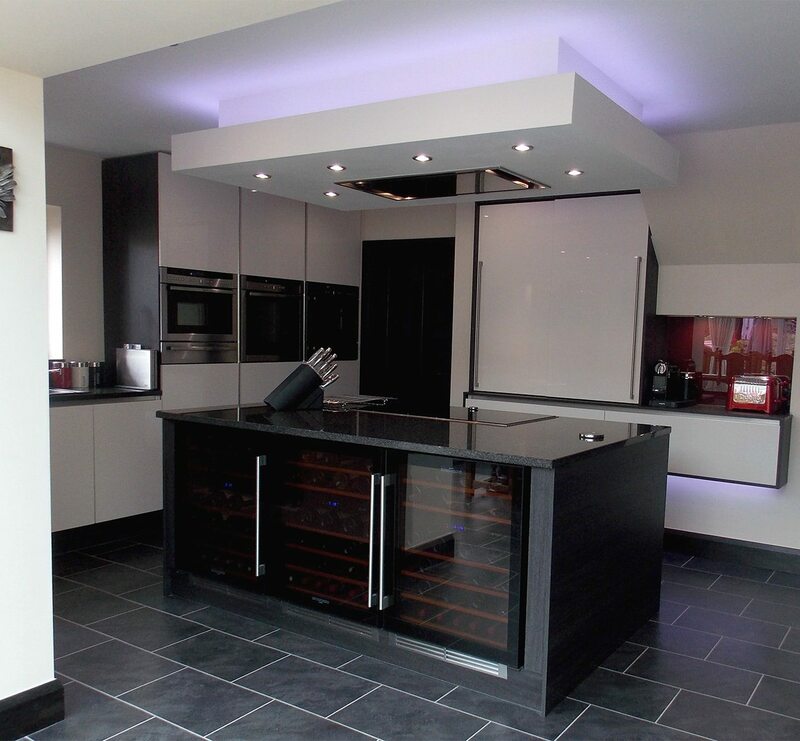 When you think of modern kitchens, you probably picture stainless steel, high gloss surfaces and black and white colours. But for this couple in Colne, Lancashire, that simply wasn’t enough. Opting for a kitchen with a twist, Mr and Mrs Hartley’s German kitchen, designed by Simon from Kitchen Design Centre, doubles up as an entertainment centre in their home. Mrs Hartley said: “We wanted something completely different to entertain friends for parties. 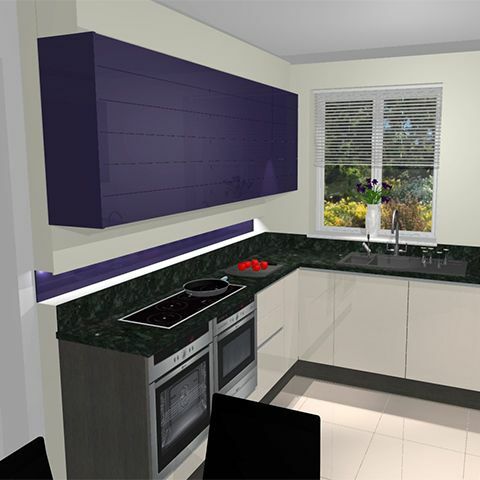 “Our amazing new kitchen has a wine bar feel to it with all the conveniences and latest appliances of a modern kitchen. 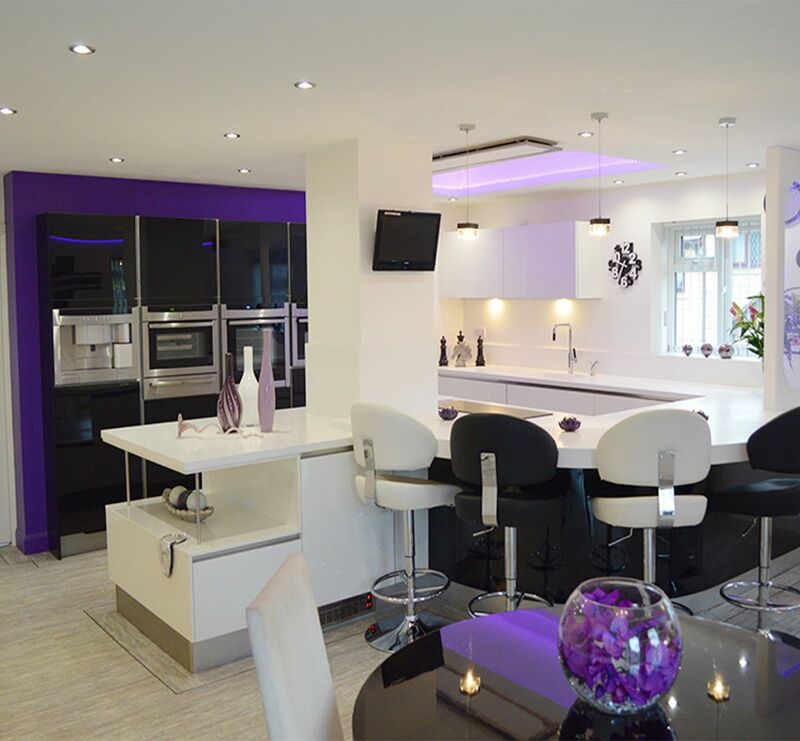 The kitchen has everything from LED mood lighting, in all colours, to reflective, dark purple, walls and climber wall cupboards, which open at a touch. The ‘party kitchen’ also has speakers fixed in the ceiling and a wall mounted television. 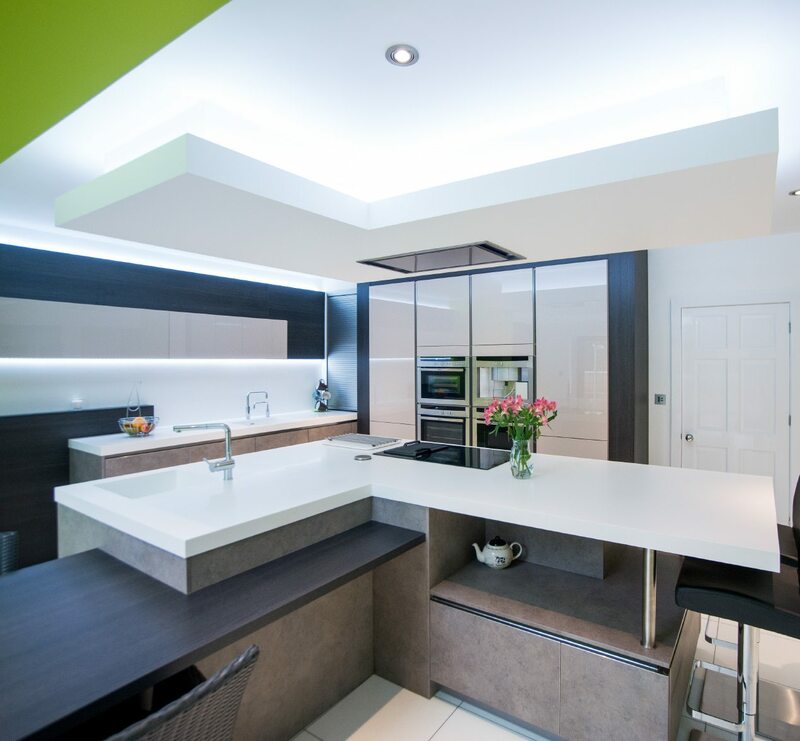 The couple discovered the innovative and stylish climber cupboards at Kitchen Design Centre’s Housing Units showroom in Manchester. This sparked the couple’s interest in creating such a unique kitchen. Kitchen units don’t get much cooler than climber cupboards. This chic innovation offers style and convenience at your fingertips. At the touch of a concealed plate, the elegant glass slats open and close effortlessly. 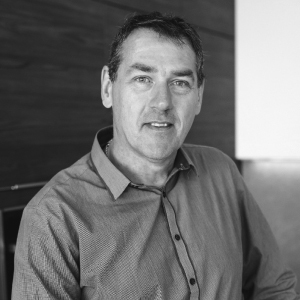 Designer Simon Thomas said: “Working with the client, I created a wine bar-style atmosphere within a German modern kitchen. It also shows how a modern German kitchen can be fused together with a trendy bar look to produce a kitchen that won’t go out of fashion any time soon. 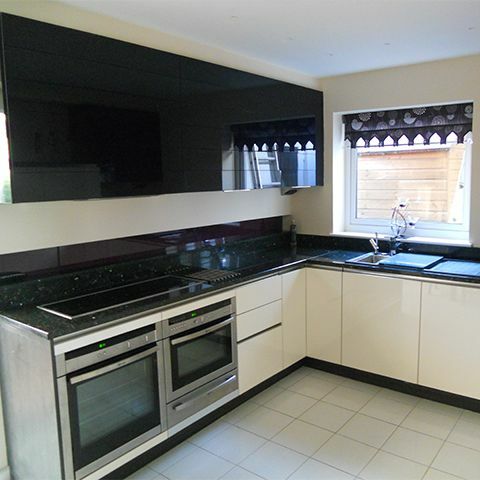 Mrs Hartley said: “We were so impressed with Kitchen Design Centre and how our kitchen turned out. Everything is exactly how I wanted it. “Anyone who wants a kitchen which is multi-functional, practical and suited to their exact requirements should try Kitchen Design Centre. 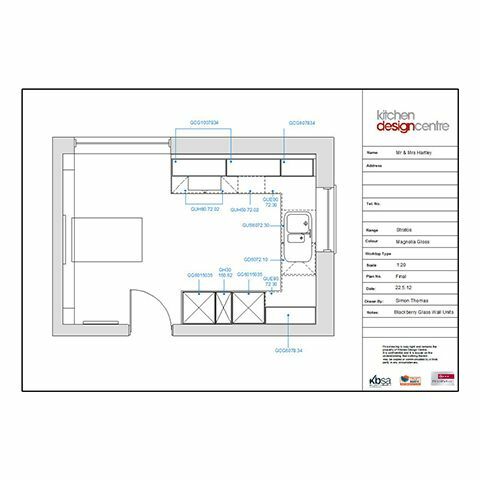 "Anyone who wants a kitchen which is multi-functional, practical and suited to their exact requirements should try Kitchen Design Centre. I really can’t sing the company’s praises highly enough." "Aesthetics meet functionality with the designer glass bringing a timeless beauty to the room.The kitchen is designed perfectly for entertaining guests, to make day-to-day living easy and to create a unique style."